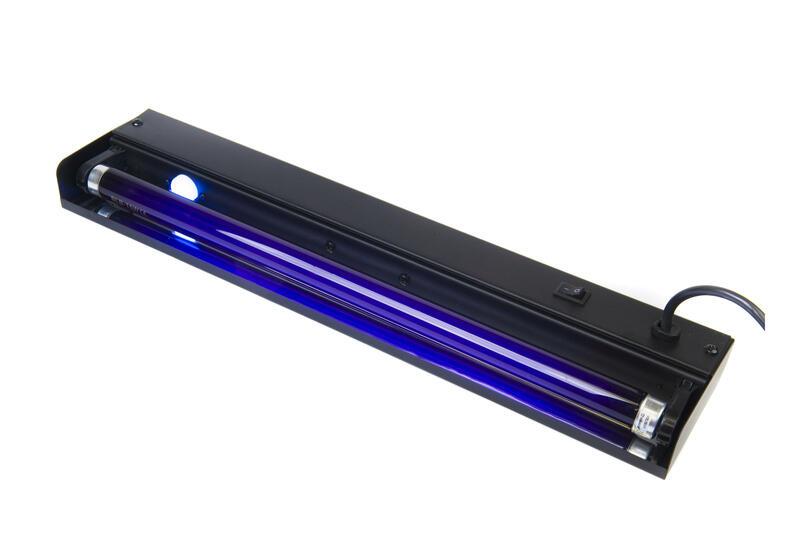 A mains operated ultraviolet light source ideally suited for demonstration use. Comes complete with on/off switch. The tube is 450mm long and is housed in powder coated steel with a back reflector. Suitable for showing the fluorescing properties of chemicals (eg. washing powder) and for work in the new Forensic Science part of the syllabus. Emits UVA light.